In today’s episode two women Annikka and Charlene who are the believing spouses in a marriage where one side has serious doubts and went through a serious faith transition. 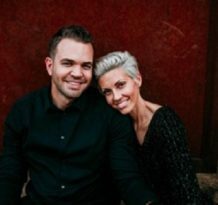 They share their thoughts and stories on what it means to be the believing spouse in a what becomes a mixed-faith marriage, the difficulties that arise, and how to support one another within them. That quote “No success compensates for failure at home…” is a also very stressful if your marriage isn’t particularly happy one. I know that there are number of Sisters who have left the Church and the Husband is the one still active. Thank you for putting this together. Many great tips and pointers on how to sensitively approach inactive spouses. I agree that there was much good advice here. I think a lot of times those of us who are on the other side of this conversation (those of us on the ex-LDS side) forget that the LDS religion is practiced in the context of a larger community. This community is extremely important to believers, and how this community perceives them is vital to the believer. Those of us who have gone through faith transition usually do so specifically to put space between us and a community that we feel doesn’t value or understand us. I need to keep this in mind as I provide support to couples going through a faith crisis and try to do what I can to acknowledge that pain and give it space to heal. Thank you for acknowledging them, Bill, and thank you for providing a space for Charlene and Annikka to share this very timely and important advice. This process is painful, but most of us on both sides of the faith crisis process want to see marriages and families preserved wherever possible. This is such a great, relevant podcast for me. I appreciate the work that went into it. As the wife of a wonderful husband who has left the church, I completely identify with just about everything the hosts discussed. There are such good thoughts in here, specifically about keeping communication open with the disaffected spouse. I’m going to forward a link to my bishop. Thanks! I am in a mixed faith marriage with my TBM wife. I left about two years ago and am very happy that I did, but, as discussed, it certainly adds new challenges to life. Even though I do not assert that I am “correct” in my thoughts, I wanted to share a couple reactions I had. First, the overall tone of the discussion was still one of treating the disaffected with respect and kindness so that, hopefully, they will come back to the Church someday. In fact, there were a couple of times it was explicitly stated as such. Podcasts that support post-Mormons do the same general thing but in the other direction. I think that as long as this “tension” between both sides exists, the relationship will never be fully respectful or “healed”. I think, we need to learn to love the person for their truth, spirit, and love, not for the hope that they may become the person we want them to be. Following up on that, I believe that the words recently spoken by Church leaders put fuel on that fire. As a post-Mormon, several talks just within the last few months have explicitly said, to my teenage children, that I am “less than”, that I have chosen the “easy” road, and that I am “stupid.” I wish these men had the same amount of charity, compassion, and understanding as the two ladies in this podcast. These men define a culture, and that culture makes its way into my house, and until they stop such language the culture will not change. Second, the question of authority kept bouncing around in my mind. Because some of my family still attends, I treat local Church leaders with respect. However, I do not appreciate having to deal with them when they come in their official capacity, but I do it. I wish members understood that, in my mind, these men have zero authority over me. I view their rules regarding ordinances, interviews, and meetings as procedural and cultural. It was sad to hear the “pleading” tone (and wording) the narrators used when asking their leaders to possibly “bend” the rules to accommodate non-members. The simple fact that such pleading is necessary tells me a lot about the culture. A word of advice related to this matter: When in your home, insist everyone from church go by their first names. No “Bishop”, “Brother”, “Sister” stuff… at least not when talking with you. It removes the mystique of authority and helps everyone treat one another on equal footing.